Augustmuni is in the Rudraprayag district of Uttarakhand in India. 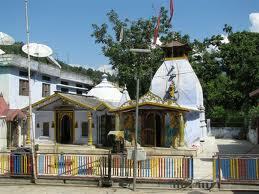 It is situated on the Mandakini river and is 18 km. from Rudraprayag. Situated at a height of 1,000m, the town is known as the place where Rishi Agastya meditated for several years. Tourists visiting the town can see Agasteshwar Mahadev Temple dedicated to the Rishi. Moreover, tourists also can see the carvings of Gods and Goddesses on the stones as the temple is also known for its architecture. Every year on the celebration of Baisakhi, a large fair is organised and devotees take part in large number to pay devotion to God.